3, 2, 1 …. Enrollment requests are open for 2019-2020 !! Our center for children with ASD opens enrollment requests for 2019-2020. Located in Gland, in Canton de Vaud, Switzerland, we welcome children from 9AM to 4PM Monday to Friday. Want to know more about OVA ? Consult the parent brochure. You can also watch this interview reportage de la RTS. 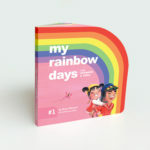 Find Diana Rikasari colorful children books for sale at OVA (8 CHF- book). 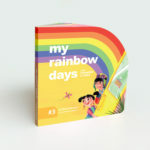 My rainbow days is a children’s story book narrated by two siblings who will take you on a mindful adventure of their daily life. OVA Suisse is pleased to welcome Dr Kimberly Maich and Dr Carmen Hall !! With a current emphasis on children with disabilities being supported in inclusive environments, teaching social skills strategies to support all students are essential for classroom and community settings. In the field of Applied Behaviour Analysis, peer-mediated social skills strategies are evidence-based intervention for children with Autism Spectrum Disorder. Peer-mediated social skills supports a range of social needs in inclusive classrooms to teach social skills and include peers in school, community settings from young learners in preschool and Kindergarten to adolescent-aged students. The presentation will include an intro. to 3 manualized programs: Stay, Play, and Talk; PEER Pals; and Camps on TRACKS. It will also introduce results from varied research projects that evaluated its success in these inclusive settings. 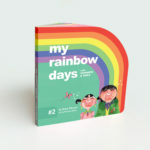 – To understand a range of strategies to deliver peer-mediated social skills and assess changes in social skills. During the workshop, participants will engage in simulation activities to demonstrate peer-mediated strategies, watch videos of the strategies in action, and be provided with case studies of successful intervention. Participants will also be introduced to a various informal and standardized assessments for social skills. Conditions of enrolment: children with autism or other developmental disorder between age of 2 & 8 years old at the beginning of the services. Therapy: Each child receives a personalized and intensive program (ESDM / ABA program) (1 to 2 children/ 1 instructor-therapist) based on his current skill level, the development of new skills and the decrease of potential inappropriate behaviors. Therapy is provided in French or English. For more details on the therapy, please read parents brochure. Send us an email for further information and enrolment.